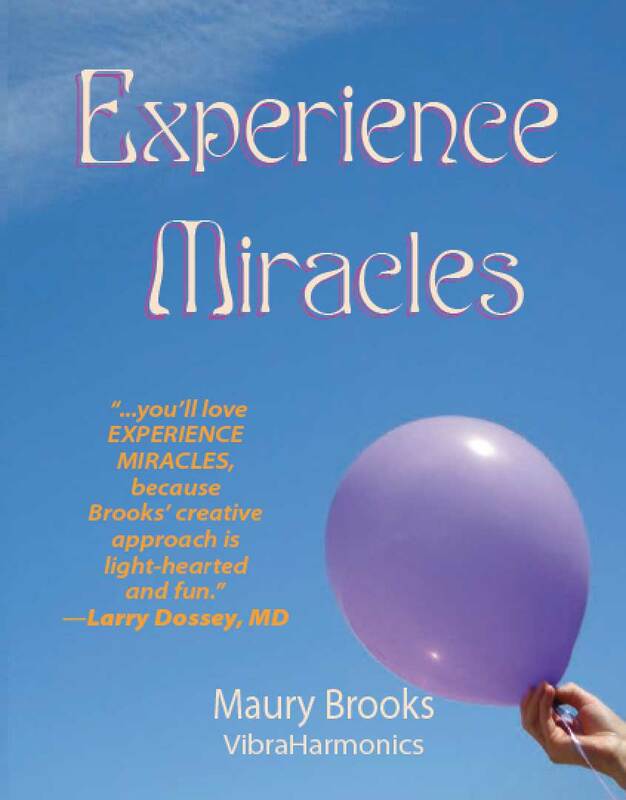 Experience Miracles enables you to create a better health and life by guiding you with simple vibrational explorations to experience and affect the zillions of miraculous processes which happen in your body and world every moment. experience a vibrational journey which may change your life. feel deep inner vibrations using a balloon, a picture, thoughts and sounds. create a deep sense of relaxation as stress melts, pains subsides, and emotional issues release. awaken your ability to sense and change the deep subtle vibrational texture, color and characteristics of your body sensations, and discover how they relate to your thoughts, emotions, overall health and well-being. co-create miracles in your life. 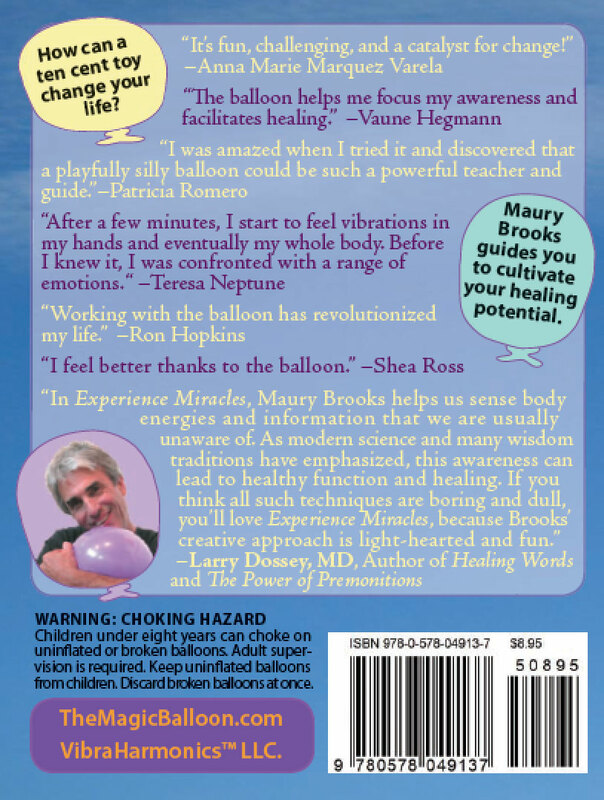 The Magic Balloon™ is an incredible balloon phenomena you will discover in this book. ... your comments are appreciated and you are invited to share the book with friends for a holiday or birthday gift.